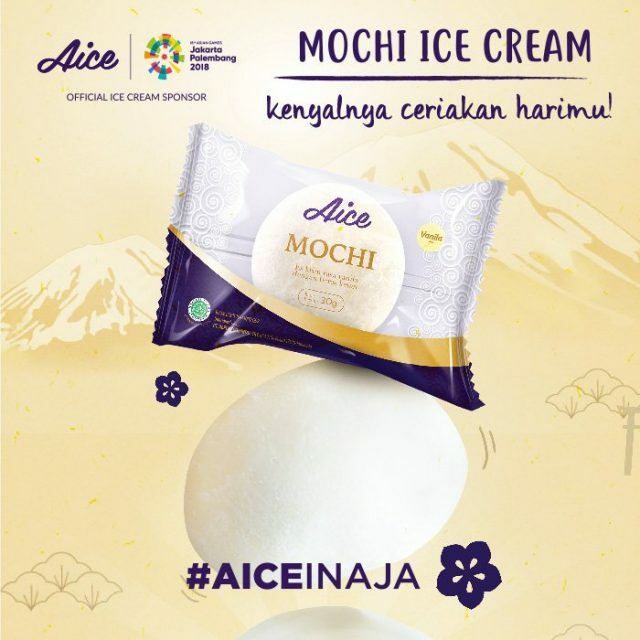 Aice, the ice cream sponsor of the 2018 Asian Games in Palembang and Jakarta, has showcased Aice Mochi ice cream. The mochi ice cream is a pounded sticky rice with an ice cream filling. The sticky texture and the icy filling makes Aice Mochi stands out in the crowded retail ice cream market. Aice Mochi can be eaten on its own or as an ingredient in dessert. Once the mochi ice cream is taken out from the fridge, the official serving suggestion is to leave it to cool down for 2 minutes to improve the chewiness. If you eat the mochi ice cream immediately after taking it out straight from the fridge, the outer sticky rice will have a thick texture and this will affect the overall eating experience. 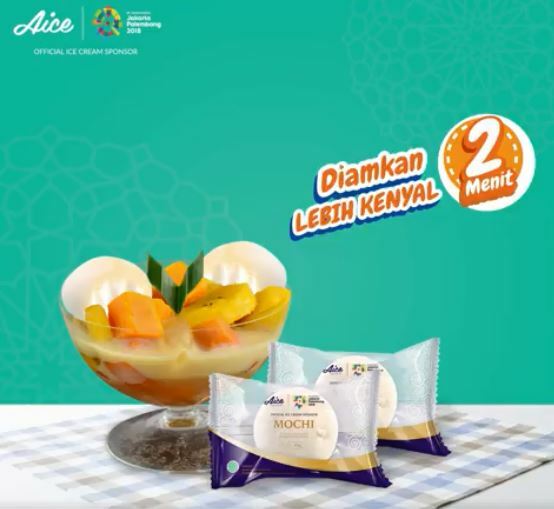 The Aice Mochi and other Aice ice cream products are featured in the latest Ramadan TV commercial as the dessert to break fast after a whole day of fasting. The sticky rice also provides the satiety benefit of helping to keep you feeling fuller for longer, a claim often seen in dieting products. 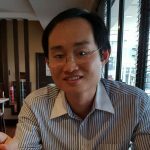 Below is the Aice Mochi TV commercial incorporating the 2018 Asian Games theme and the satiety message. Apparently, Aice Mochi in vanilla was already launched as early as 2017.